Earlier today, we wrote a post pointing out that Republican presidential hopeful Ted Cruz is not being honest about his response to his attendance last year at a conference organized by radical anti-gay activist Kevin Swanson, falsely claiming that he was not aware of Swanson’s views before he attended and that he immediately denounced them once he learned about them. This is nonsense, as Swanson’s views were well documented long before Cruz attended the rally and Cruz himself was directly confronted about them by CNN’s Jake Tapper the day before he spoke alongside Swanson. Both Cruz and his father, Rafael Cruz, nonetheless agreed to appear at the conference and then his campaign proceeded to dismiss any criticism of his decision. Ben Carson, on the other hand, reportedly dropped out of the conference because of Swanson’s notorious extremism. 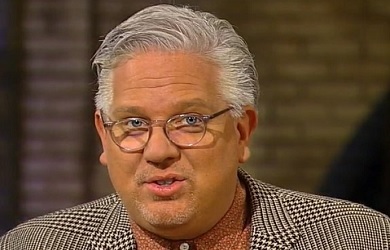 Now, Cruz is attempting to rewrite history and, in doing so, apparently lying to Glenn Beck’s face about it. 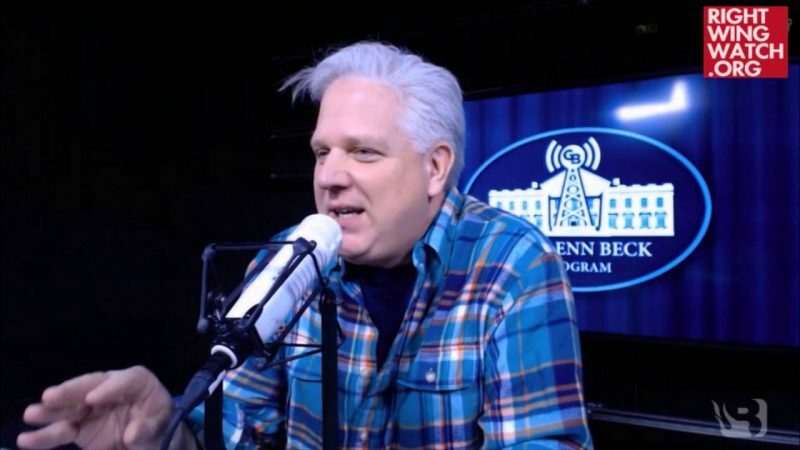 On his radio show today, Beck revealed that Cruz was at Beck’s home yesterday for several hours, just hanging out and shooting footage for campaign commercials, when Beck’s daughter asked him about his decision to appear at Swanson’s rally. According to Beck, when his daughter asked Cruz about his participation, Cruz declared that Swanson and his views are “reprehensible” and that he “chewed [his] staff out” for allegedly not knowing about Swanson’s views and for allowing him to appear at Swanson’s conference. 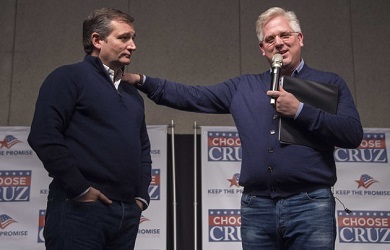 In our post this morning, we noted that Beck himself declared just last week that he had never seen Cruz lie in either his public or his private life. 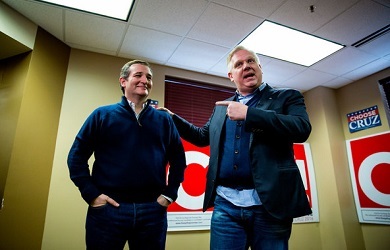 Well, now Beck has seen Cruz do both, because Cruz was directly informed of Swanson’s views on national television the day before the conference and openly dismissed any concerns about appearing with him. If nobody on the Cruz campaign was aware of Swanson’s extreme views, it is only because they didn’t bother to check since Swanson’s long history of unrepentant bigotry has been well documented.